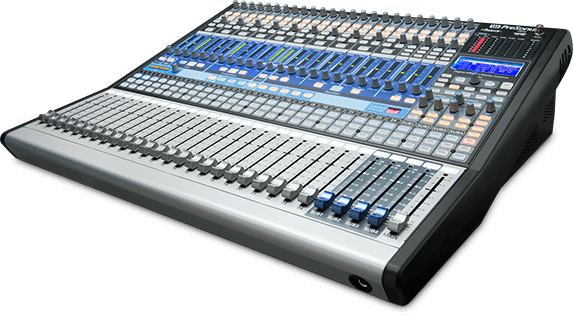 The StudioLive® 24.4.2AI 24-channel (24x4x2) digital mixer is a great choice for live mixing and on-location recording for churches, clubs, corporate, institutional, and other installations. It operates so much like an analog mixer that even novice customers will immediately feel at home. 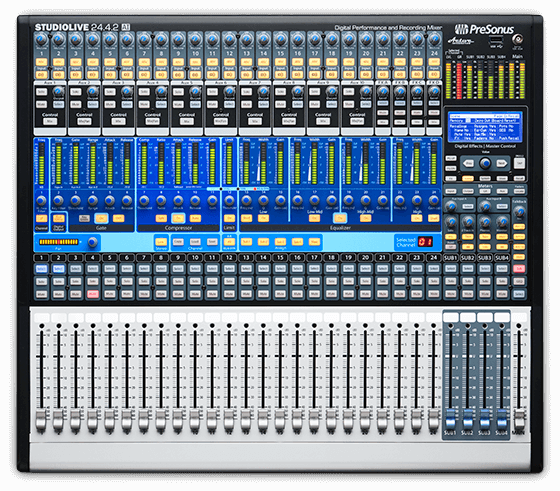 Naturally, the StudioLive 24.4.2AI features our highly respected XMAX Class A mic preamps—even on the Talkback input! 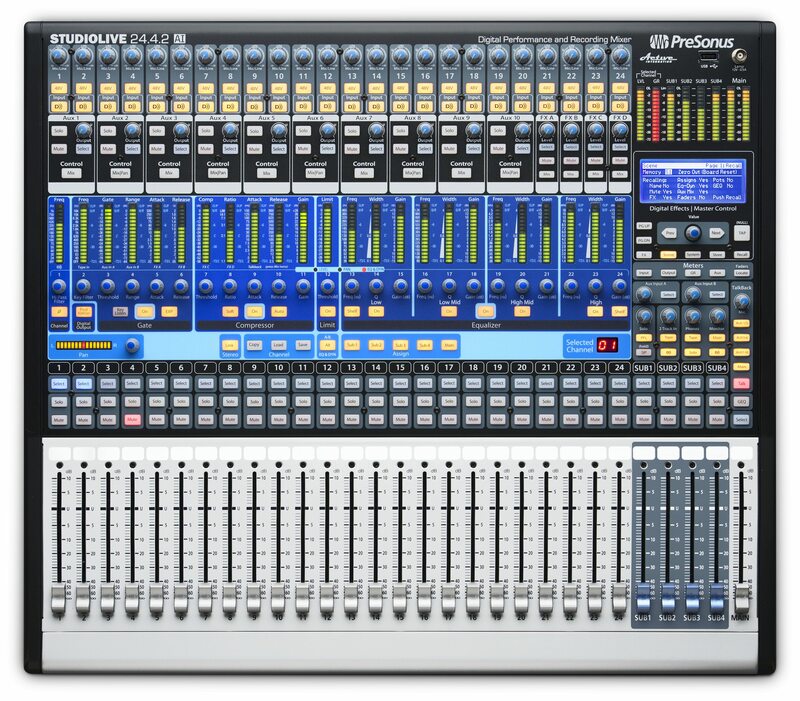 Loaded with no-compromises signal processing on every channel, easy store and recall of every setting, high-end converters and preamps, and an integrated FireWire s800 multitrack recording interface, the 24.4.2AI is expandable to 48 channels and boasts networking capabilities (including Dante™ and AVB) unmatched in their price class. 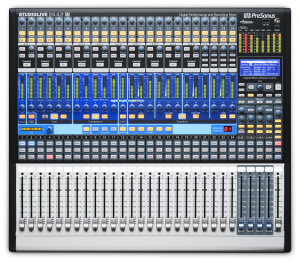 The StudioLive 32.4.2AI has 20 mix buses,10 aux buses, 4 subgroups, the talkback section with Class A XMAX preamp, extensive LED metering, mixer scene save and recall, eight Quick Scene buttons, and channel-strip save/recall/copy/paste. Its twelve 31-band graphic EQs are assignable to the aux sends and the Main output bus.